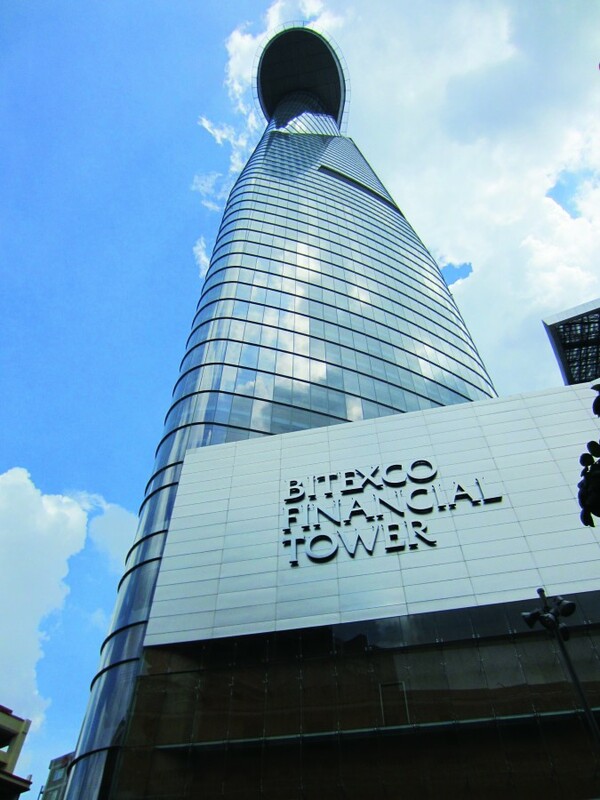 Modelled after a lotus, Vietnam’s national flower, this 68-storey, 260-metre tall office tower has a six- storey retail podium. As part of the tower’s lotus flower image, one side of the tower protrudes out as the helipad. Constructed from more than 250 tons of structural steel and requiring 4,000 ultra-strong bolts to hold it together, the helipad is cantilevered 22 metres out from the main structure. The unconventional building shape is such that the perimeter tapers inward at the lower 20 floors. The building’s curvature means no two floors are the same. Each of the 6,000 sleek glass panels is individually cut to unique specifications because each floor is different from the next.